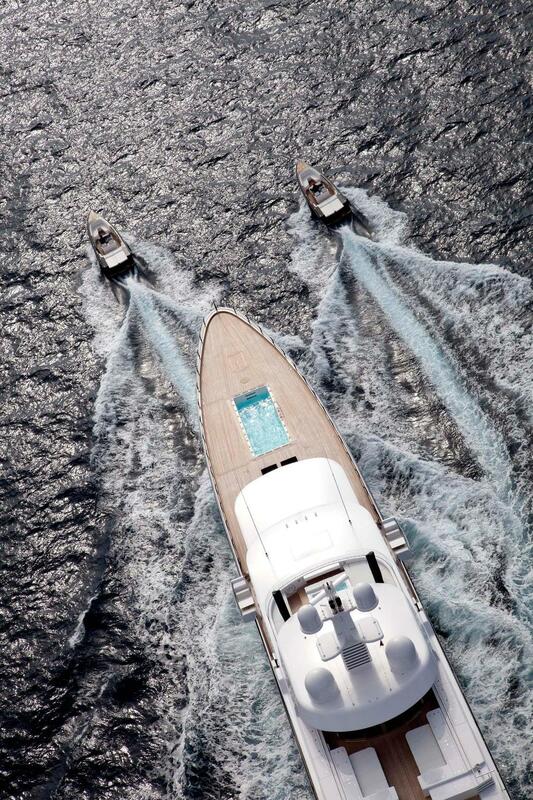 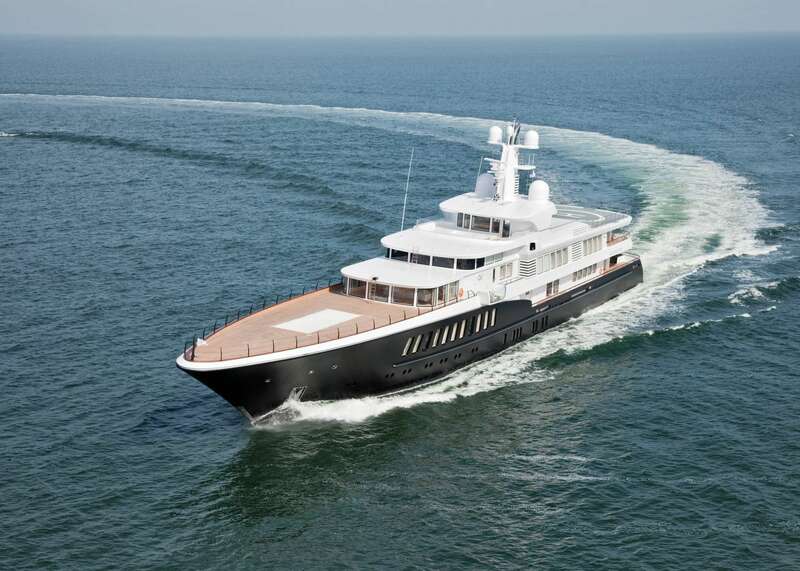 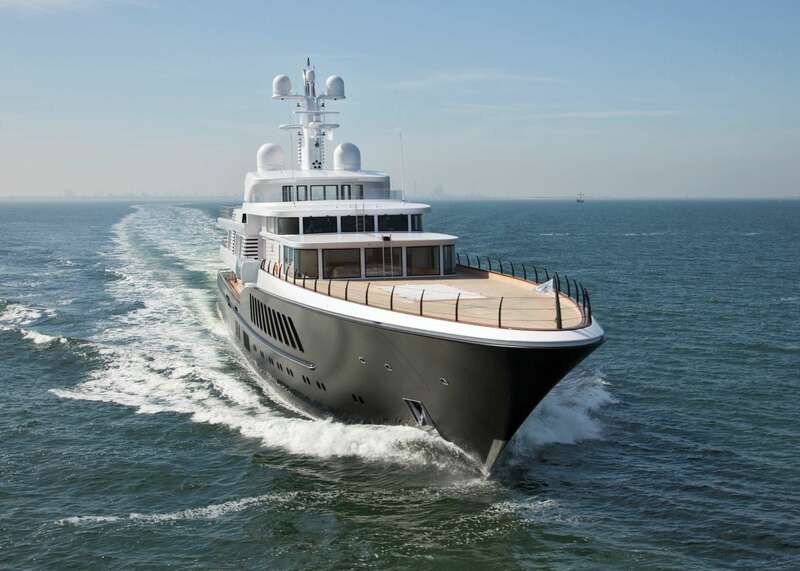 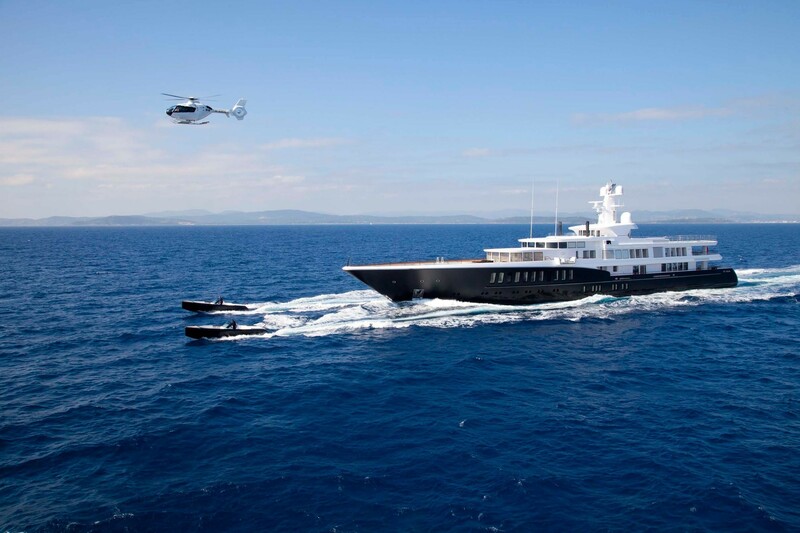 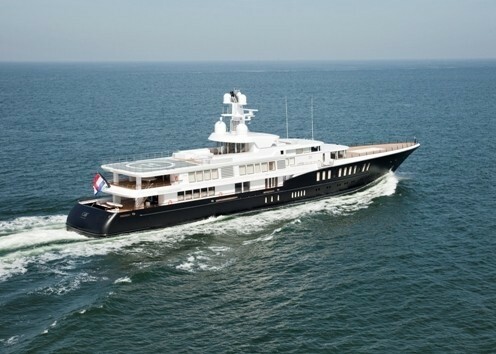 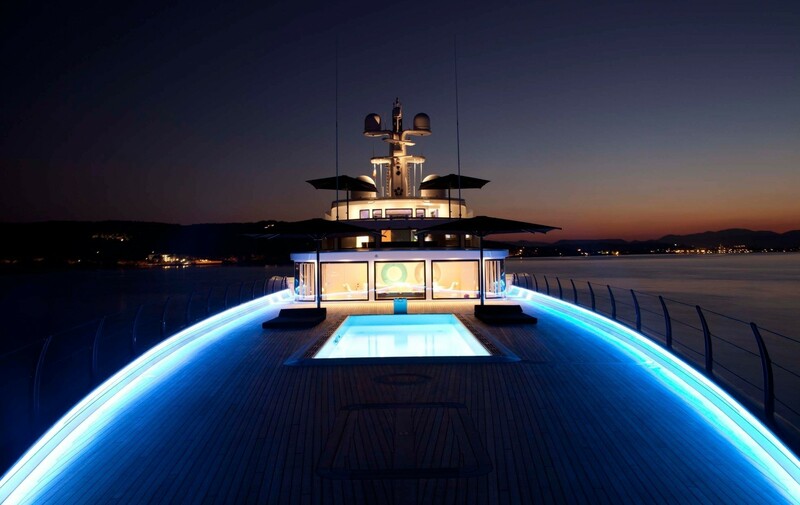 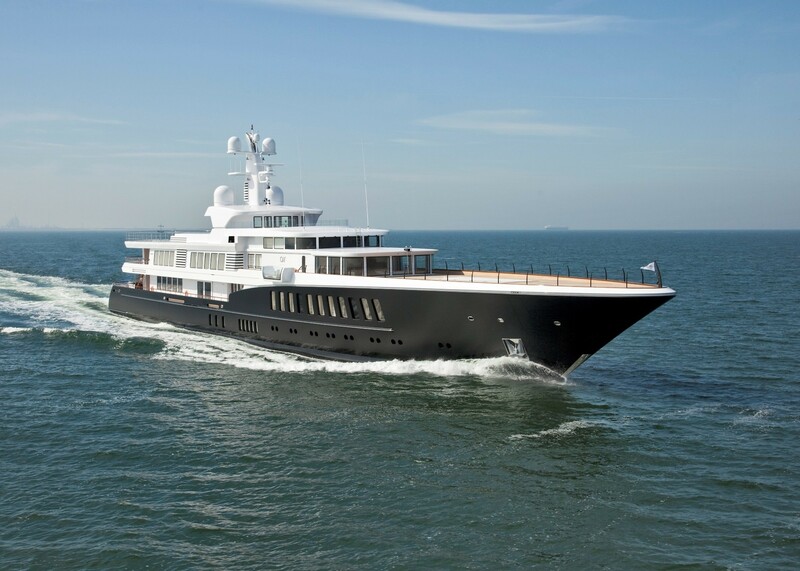 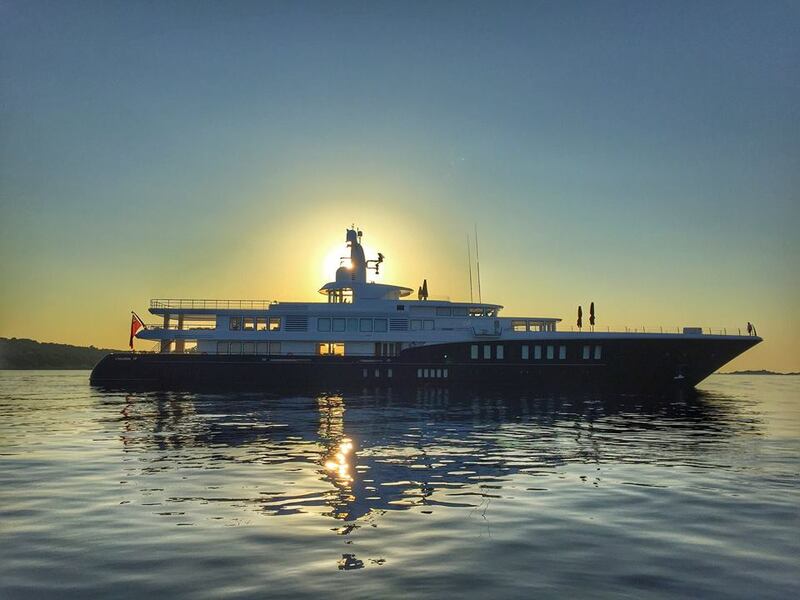 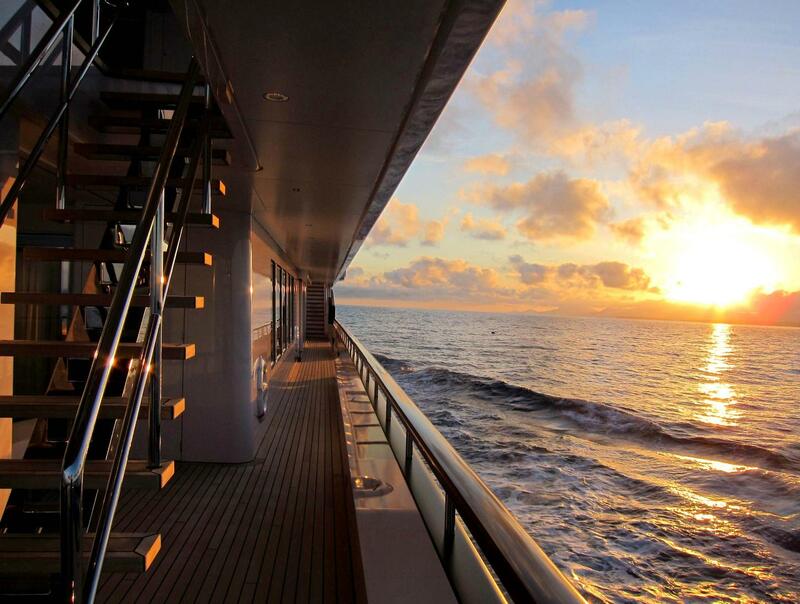 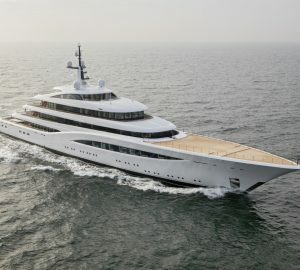 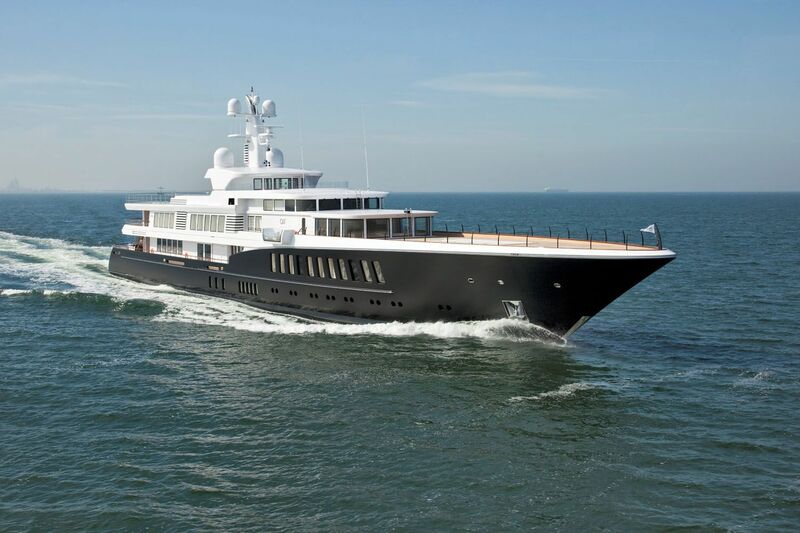 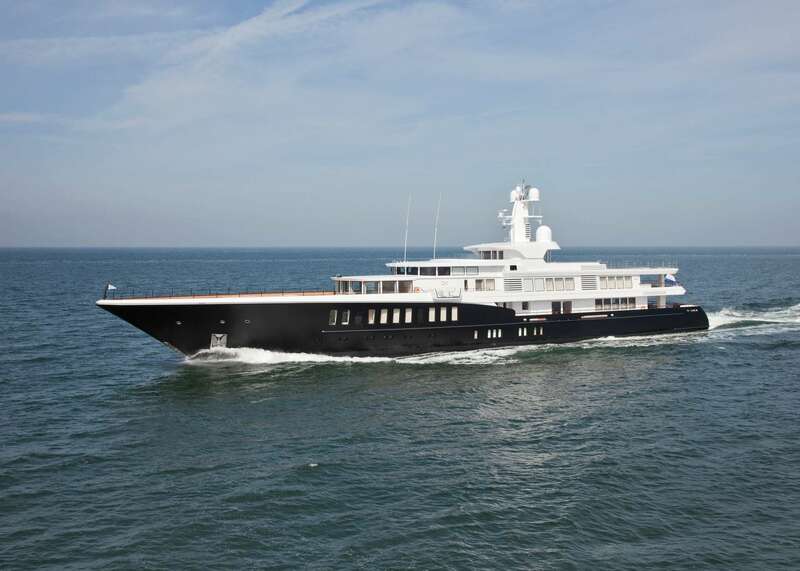 Superyacht AIR is an impressive 81m (265'7'') steel and aluminium vessel, launched by Feadship in 2011. 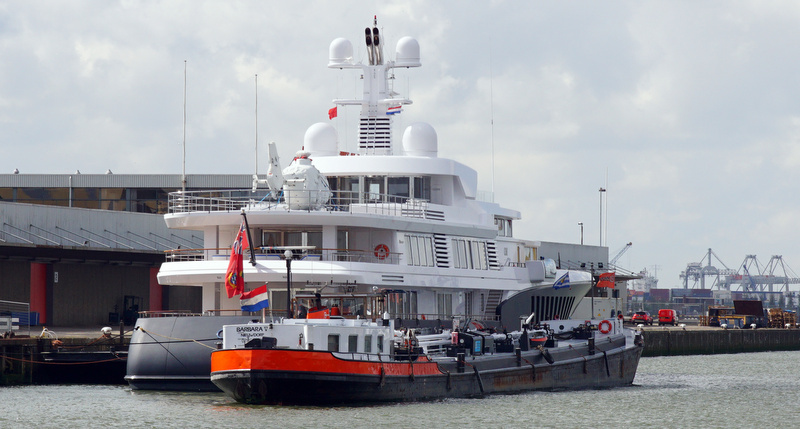 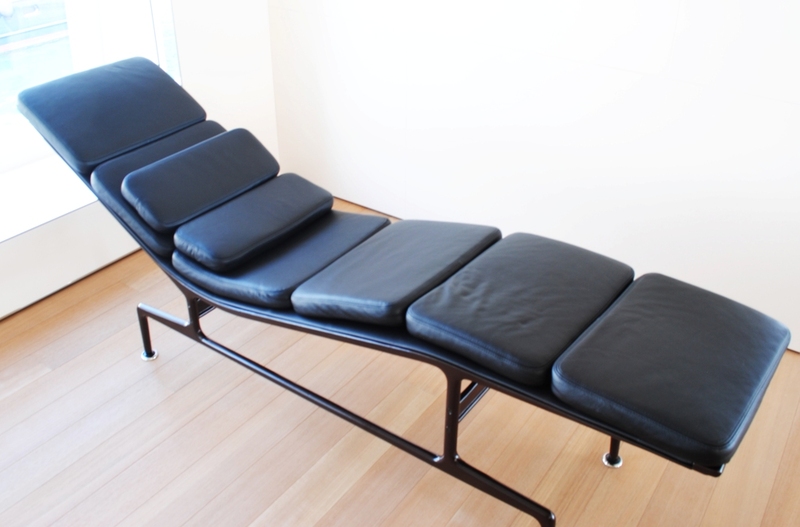 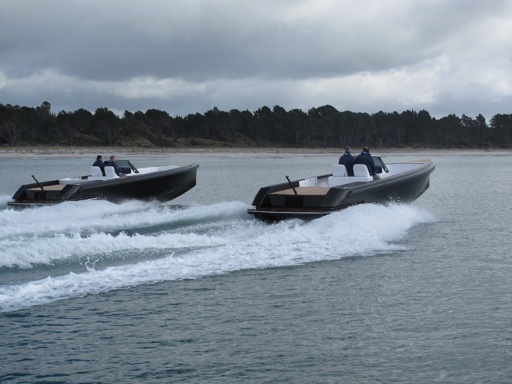 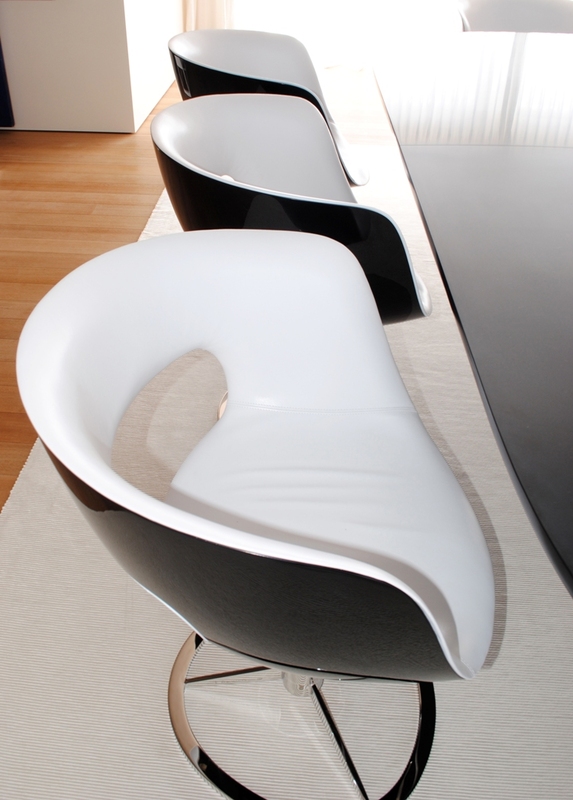 Her exterior design and naval architecture were designed by De Voogt. 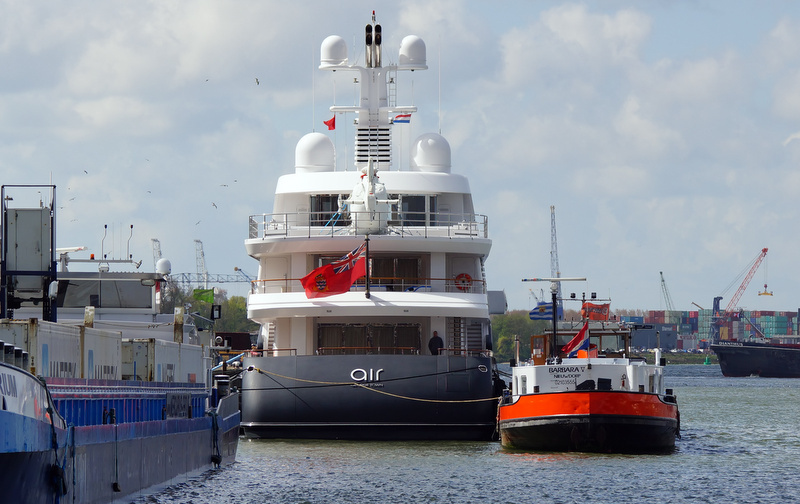 Feadship motor yacht AIR has an interior designed by Remi Tessier Design and she was built at Koninklijke de Vries Scheepbouw with engineering design by De Vries and De Voogt. 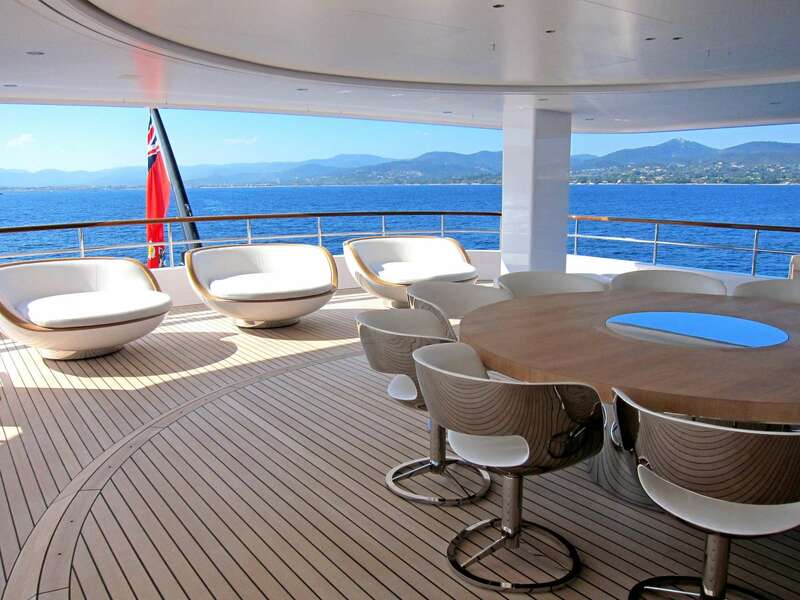 She accommodates her 12 guests in 6 roomy staterooms and all of her guest cabins have separate ensuite bathrooms. 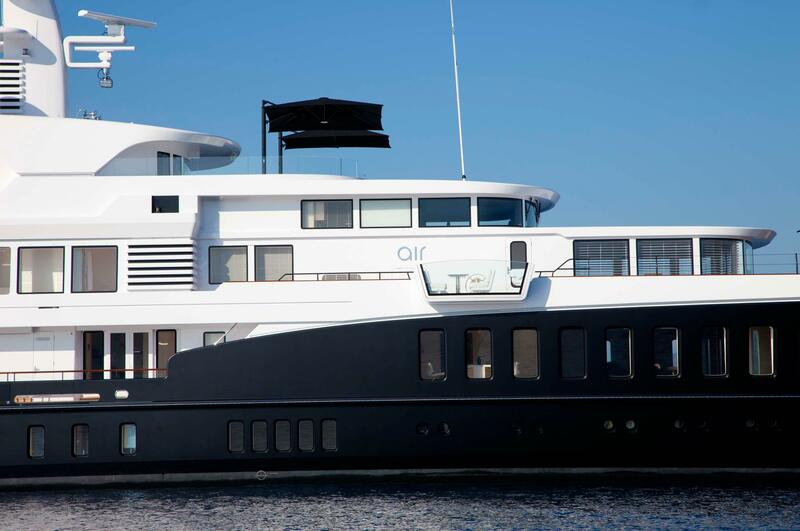 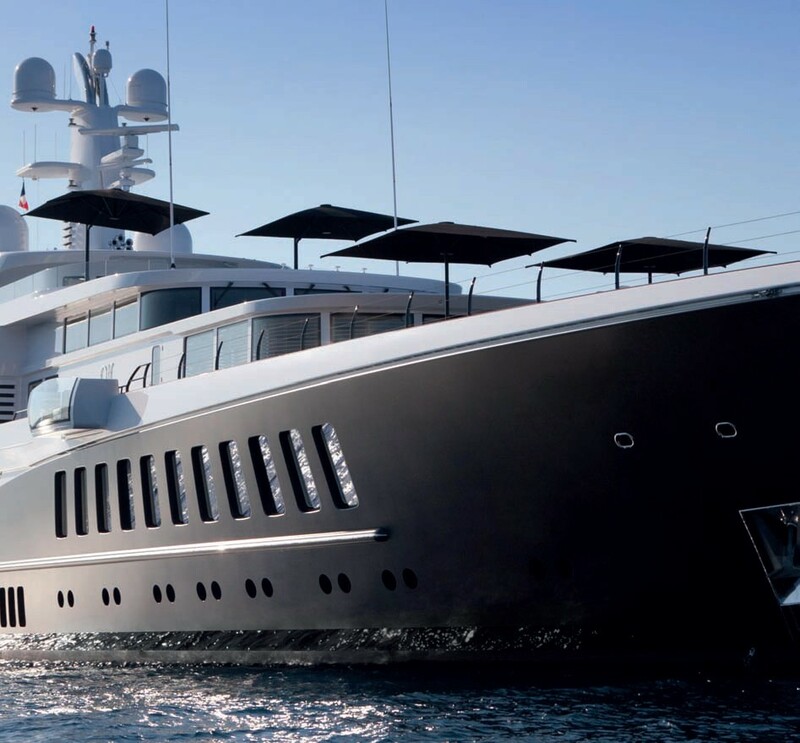 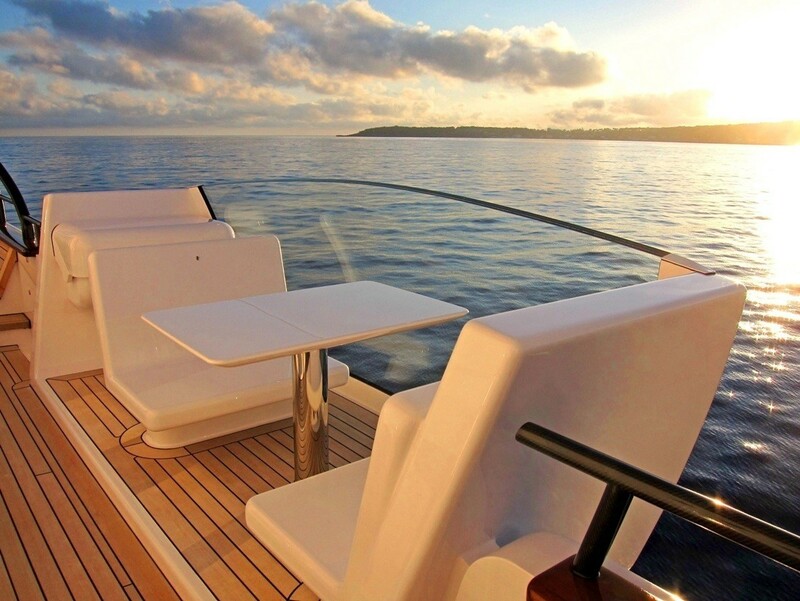 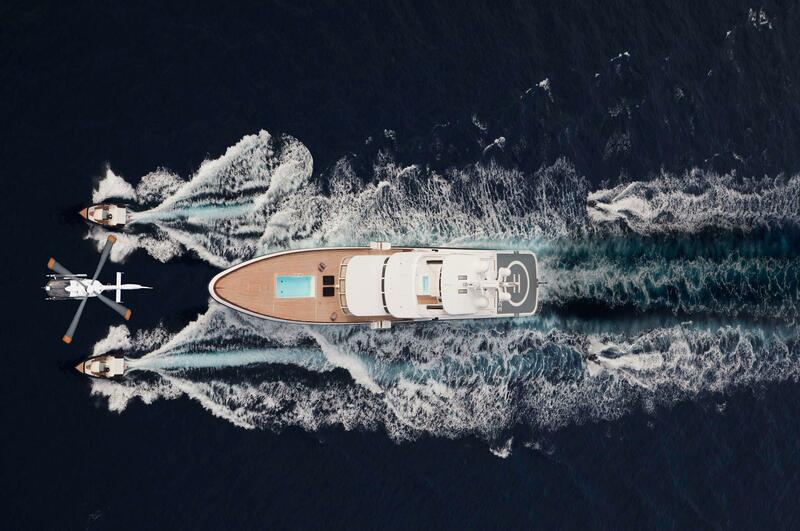 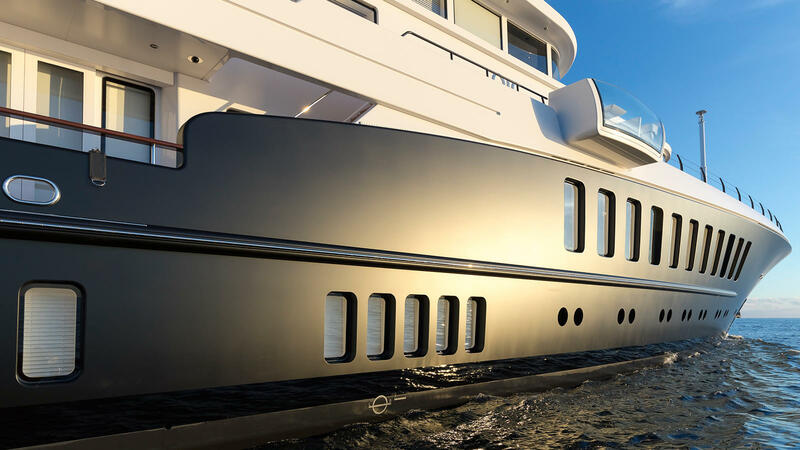 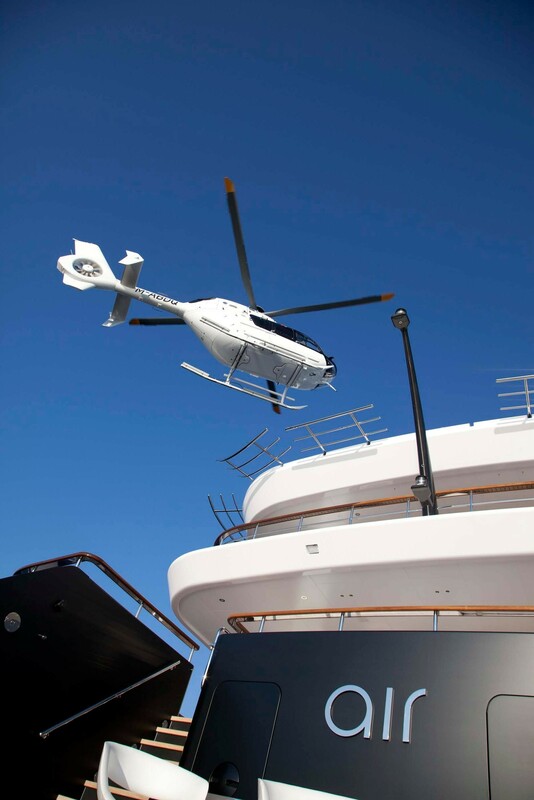 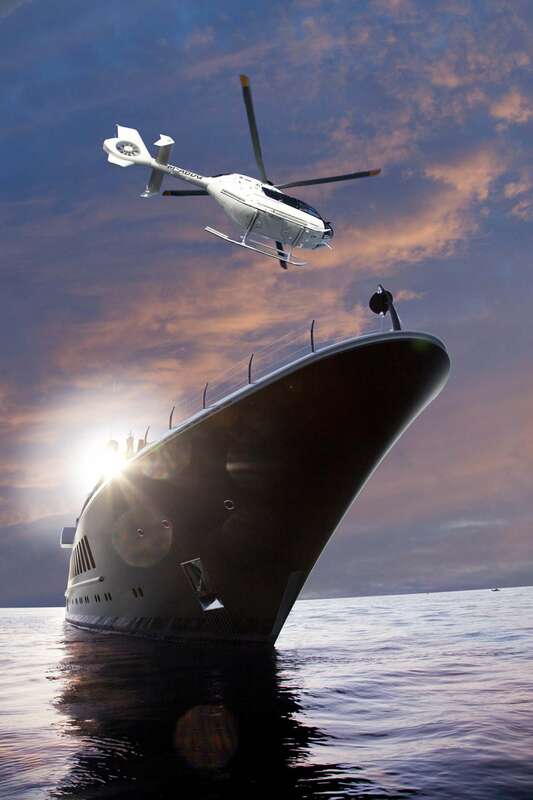 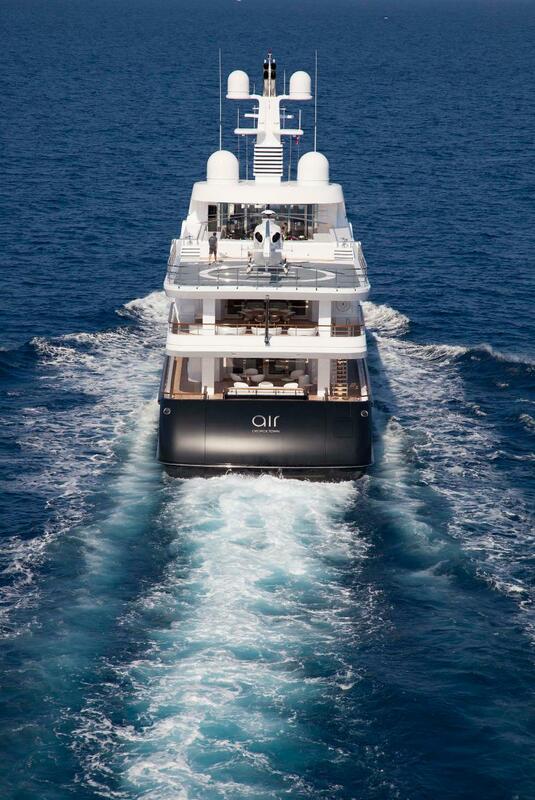 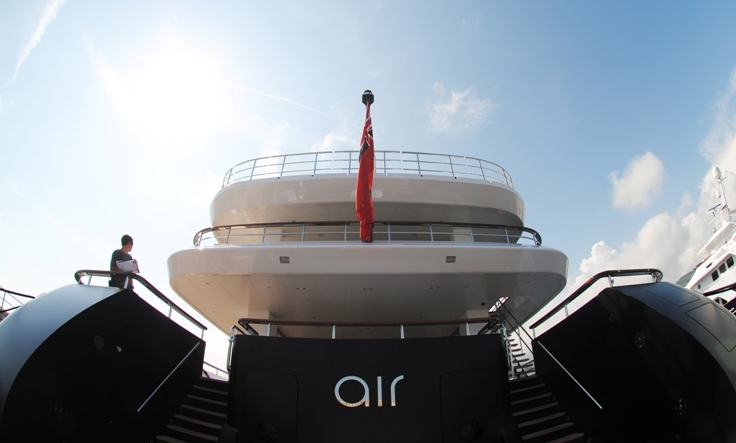 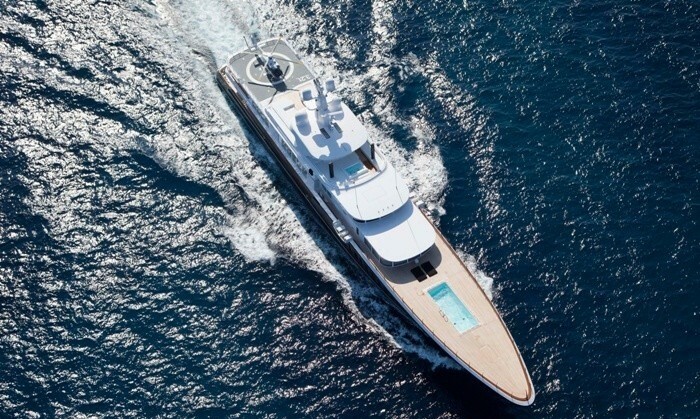 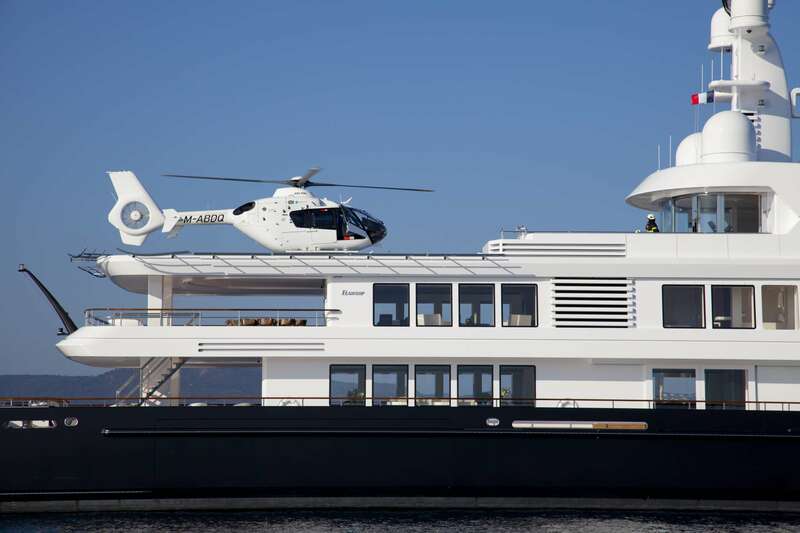 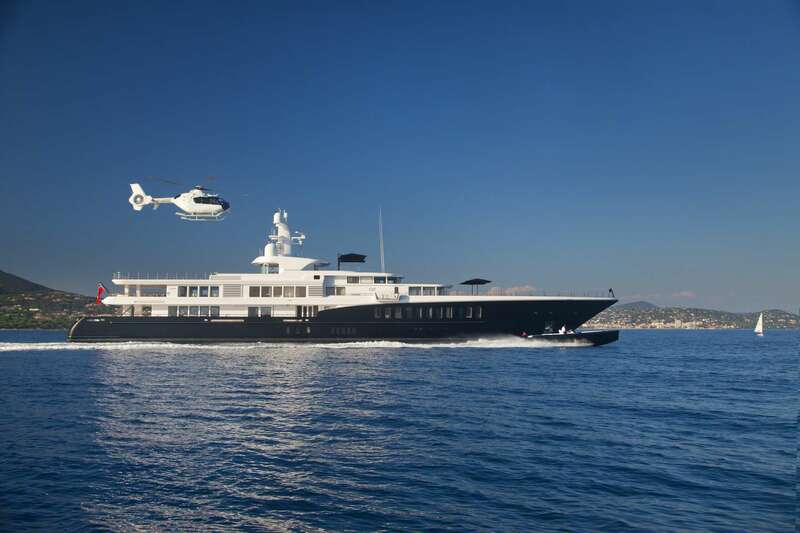 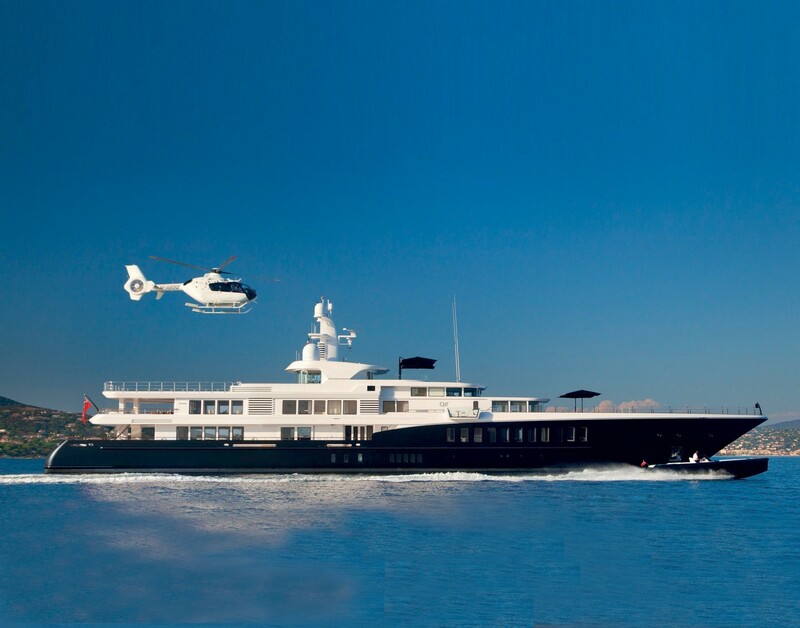 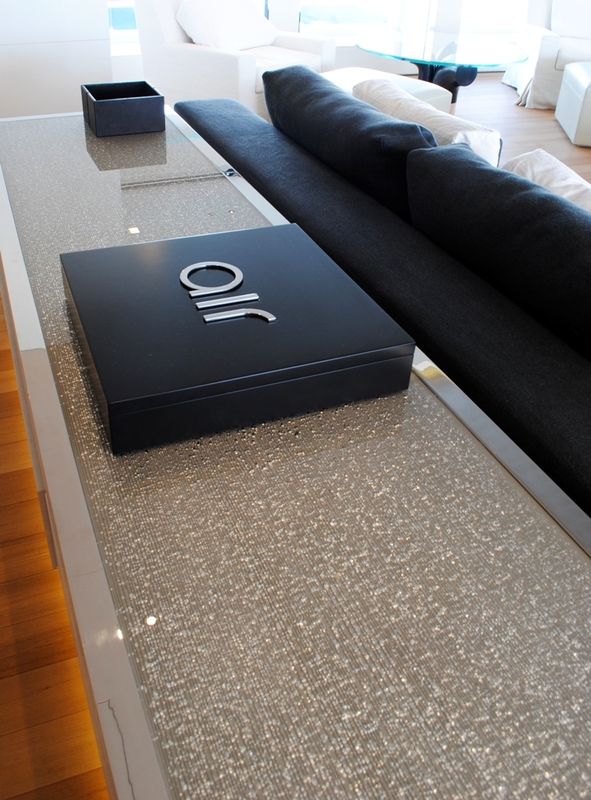 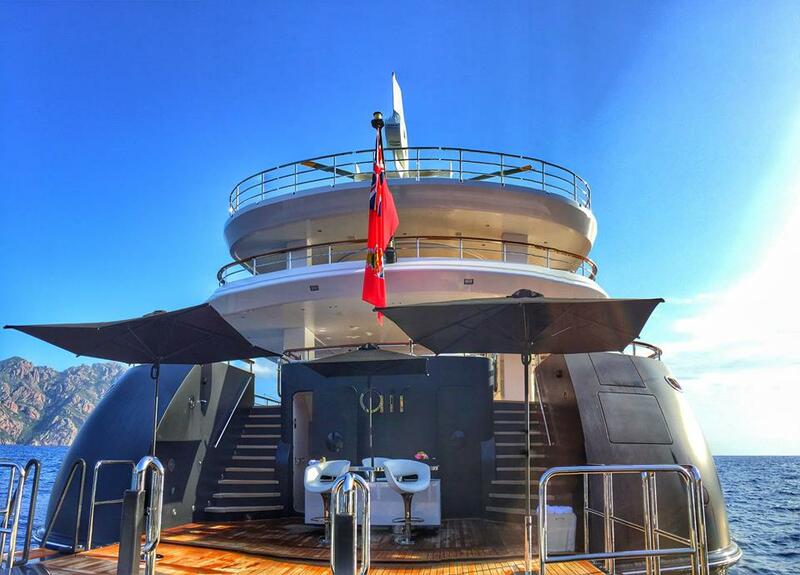 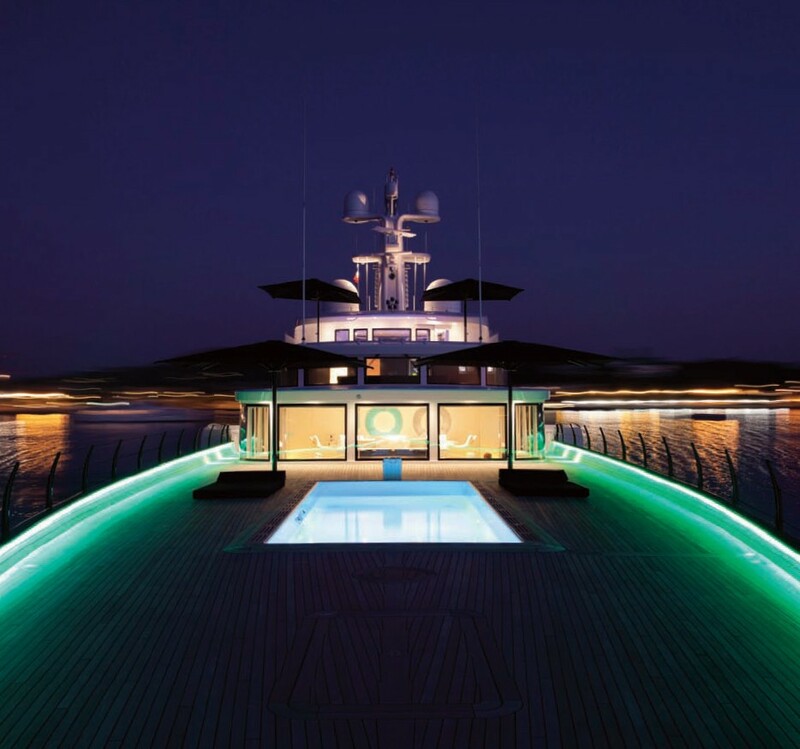 Luxury yacht AIR has her exterior designed by Remi Tessier in conjunction with the yacht’s owners. 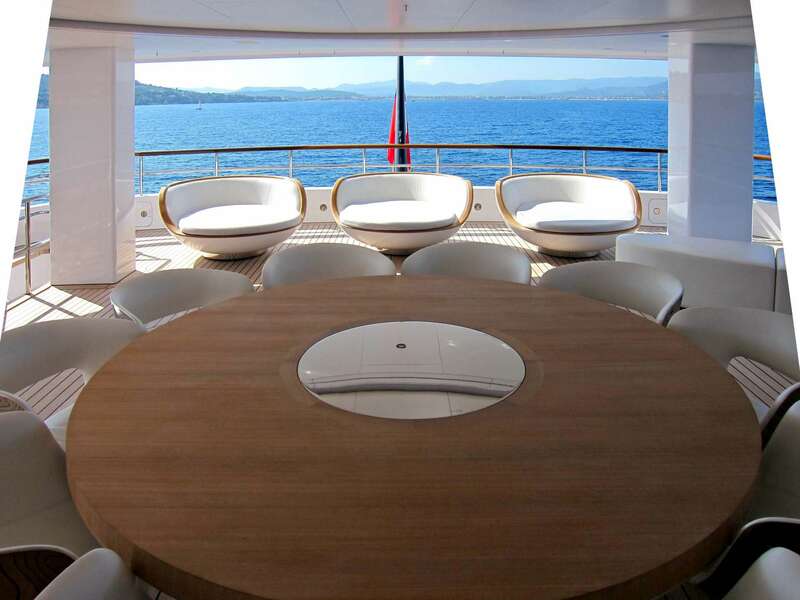 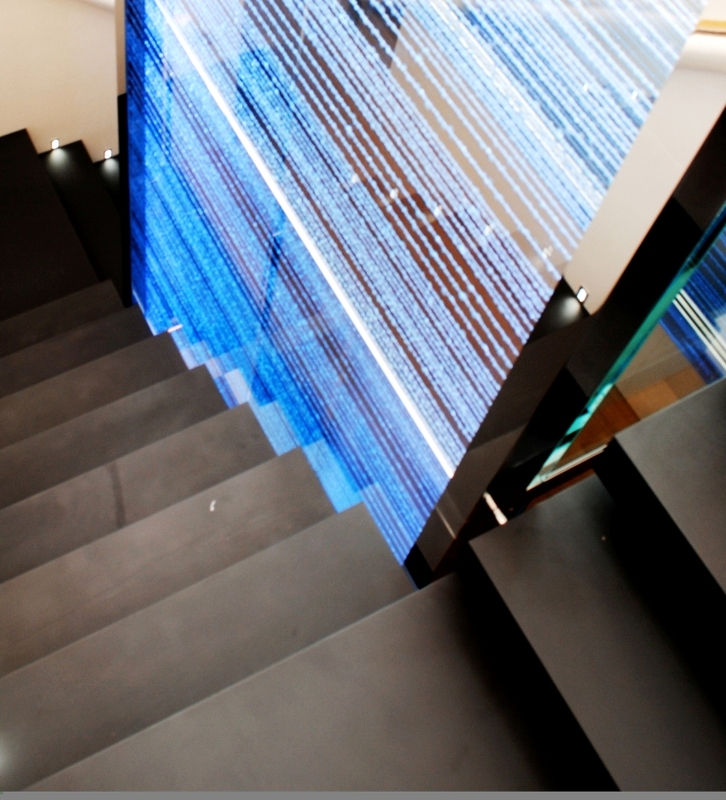 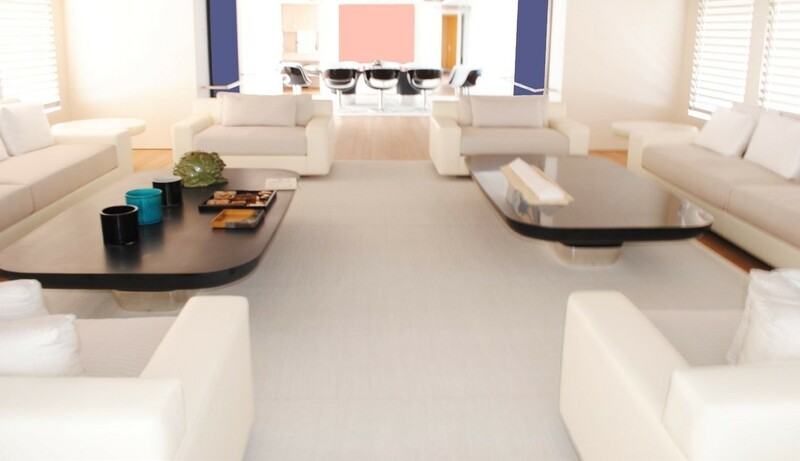 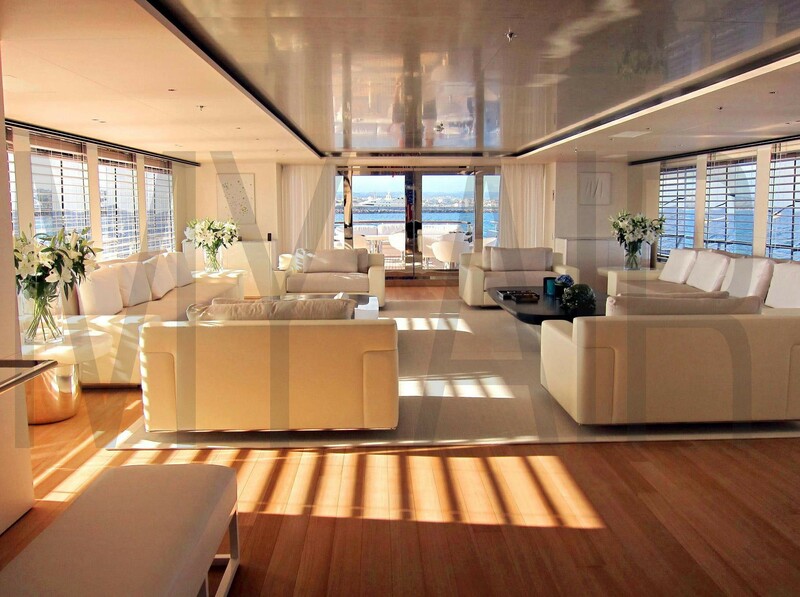 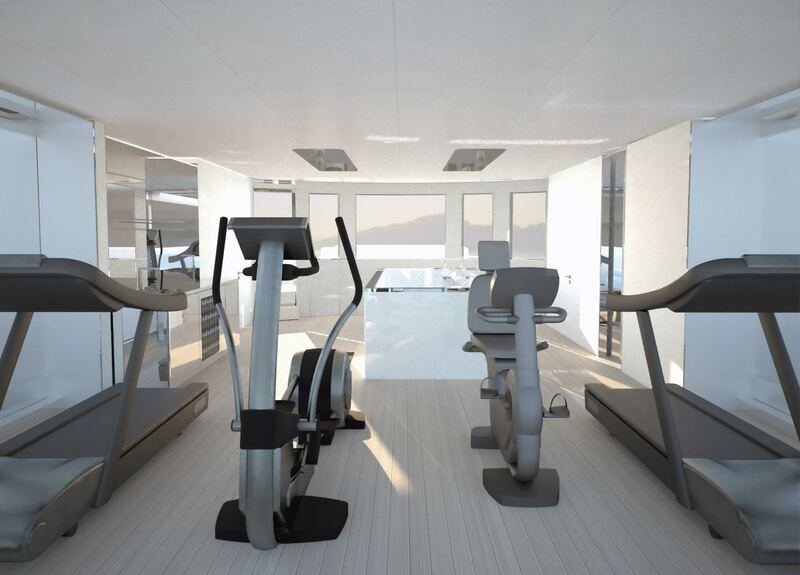 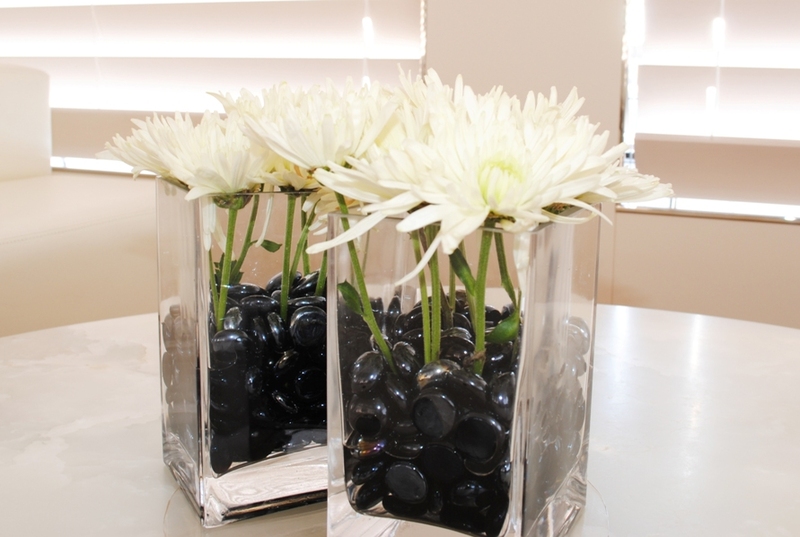 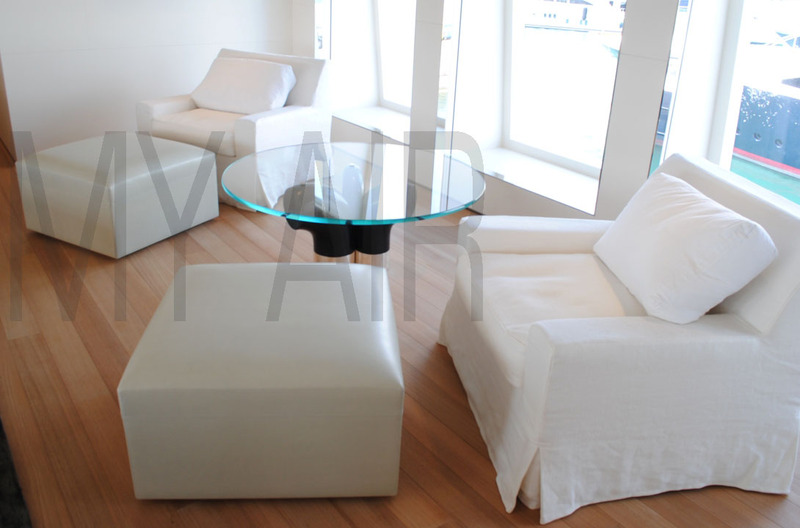 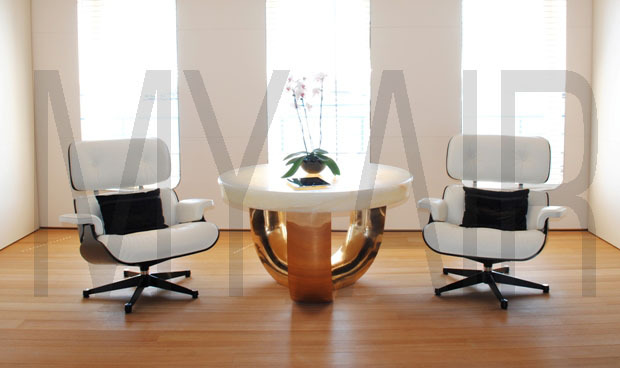 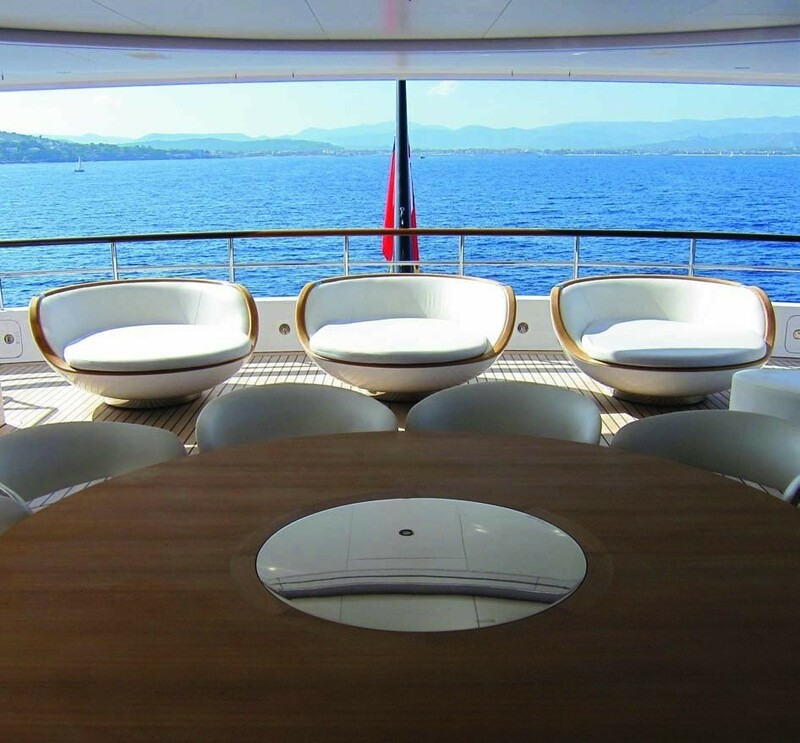 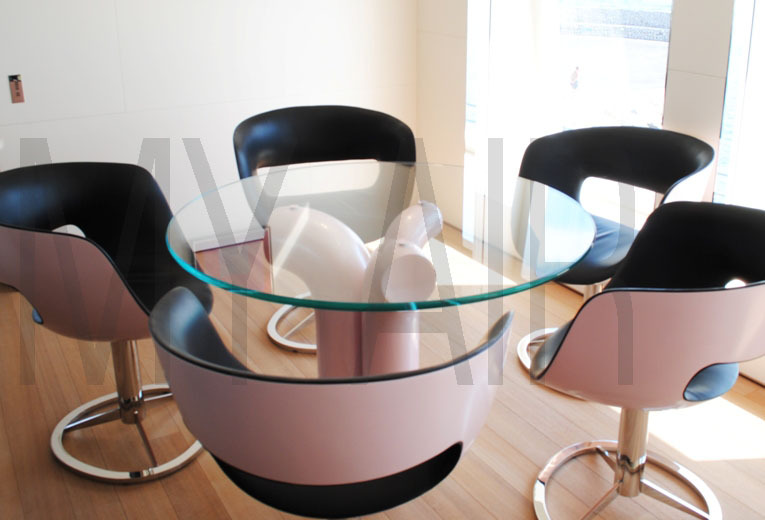 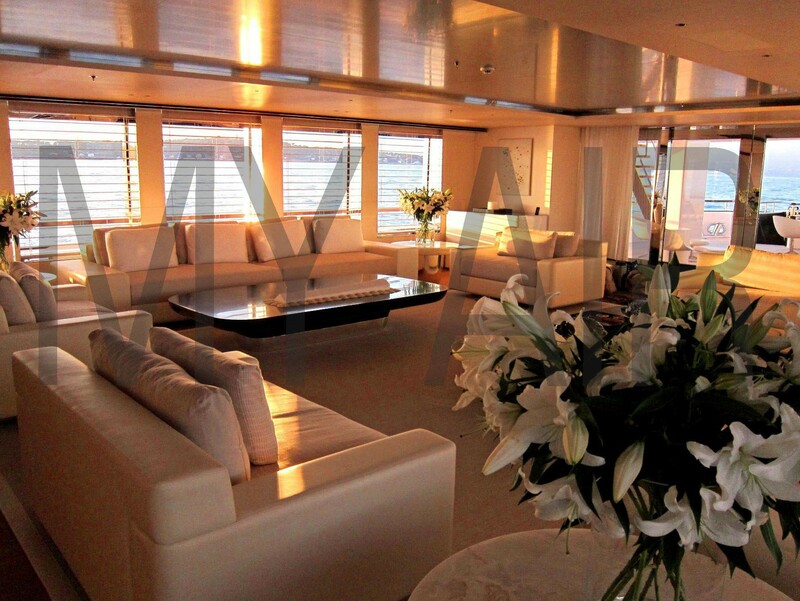 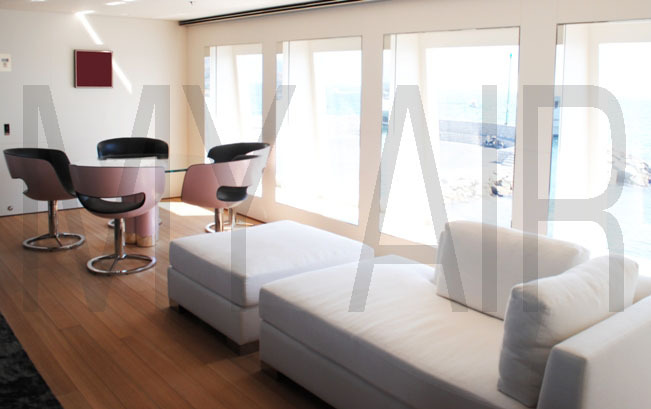 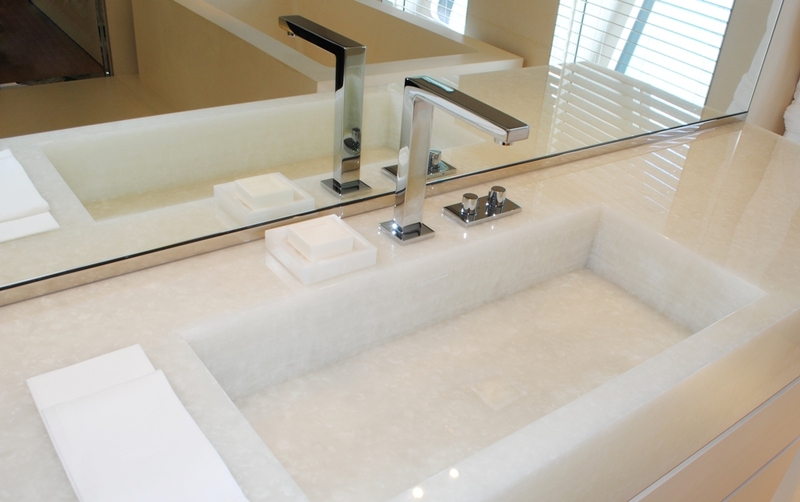 The artwork has been creatively used to decorate her interior, working harmoniously with the yacht's design. 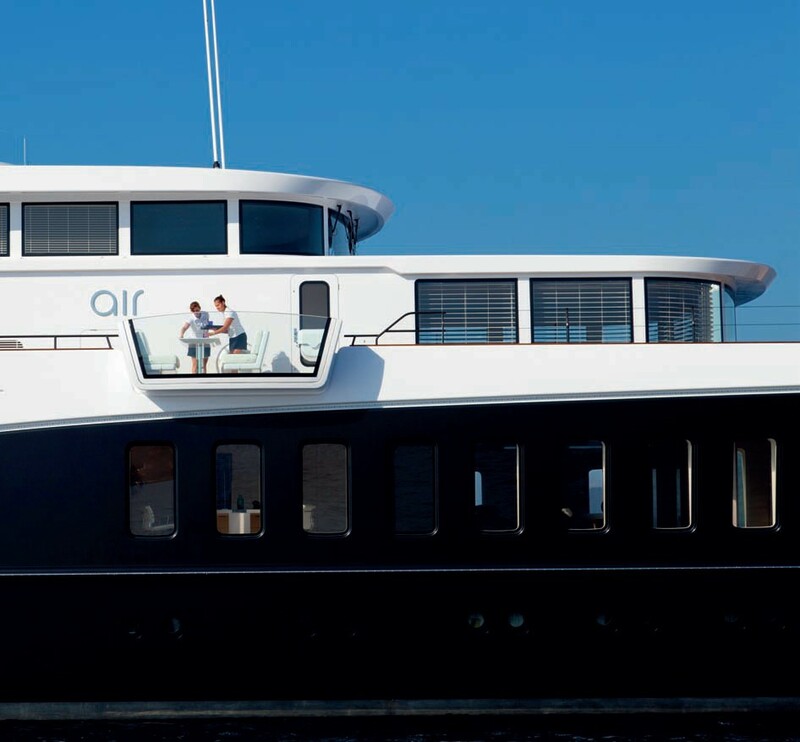 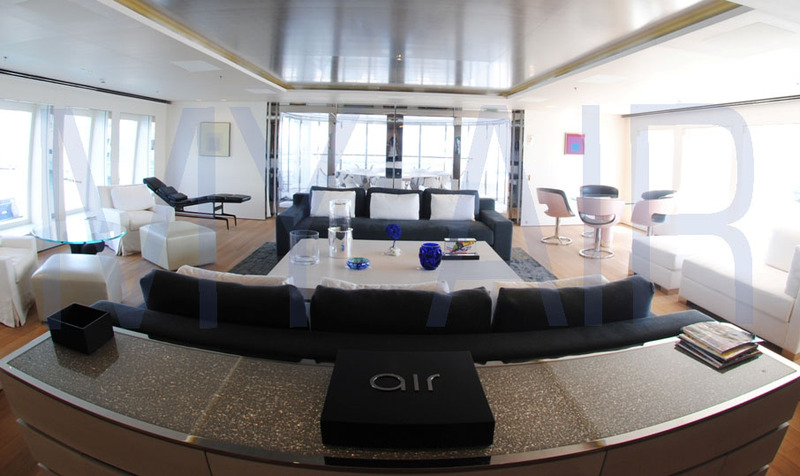 Air yacht's interior is large and spacious, in the common areas such as saloon and dining room, and these flow naturally outside through the large window and open doorway to similarly generous outdoor entertainment areas on aft and sundeck. 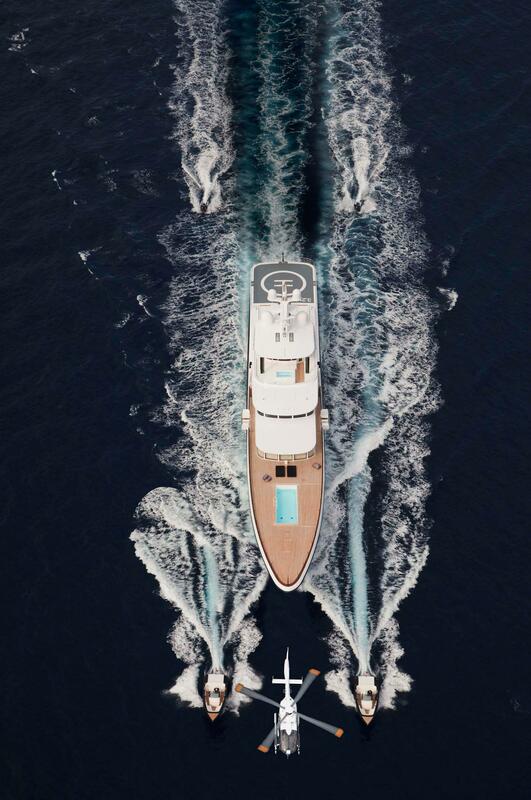 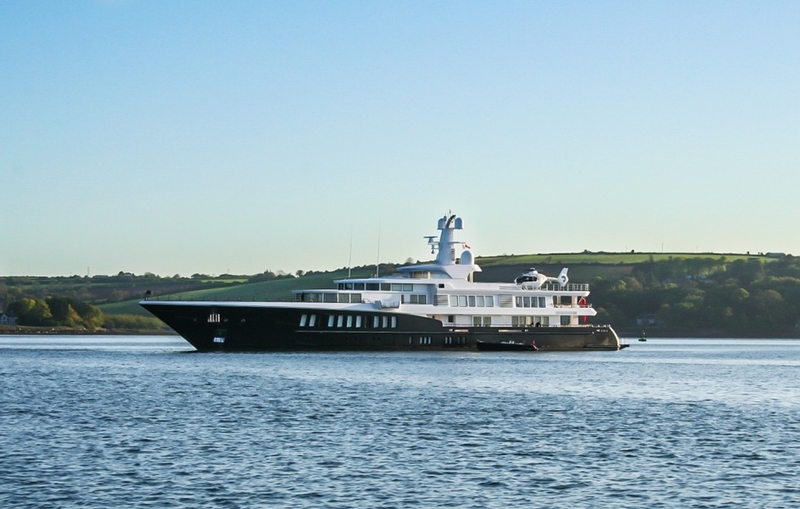 At 81 metres in length, and with a beam of 11,6 metres, there is plenty of space on this outstanding vessel. 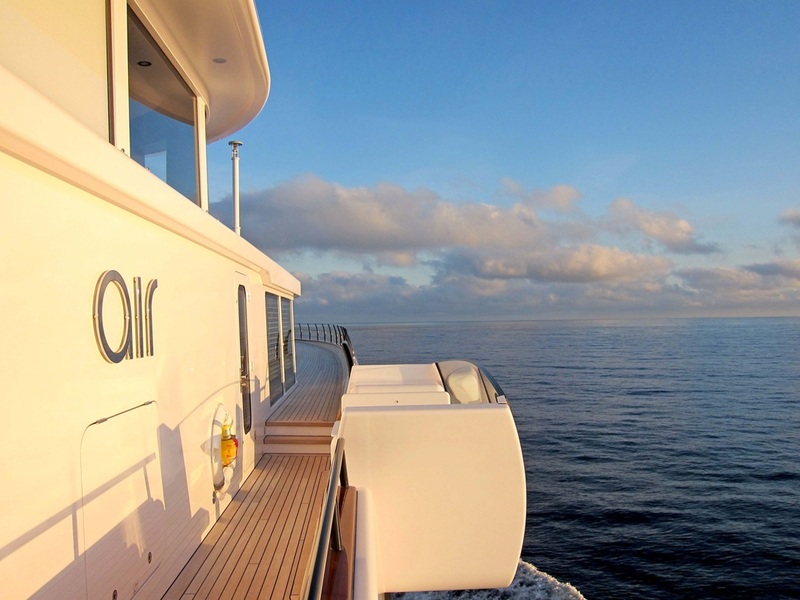 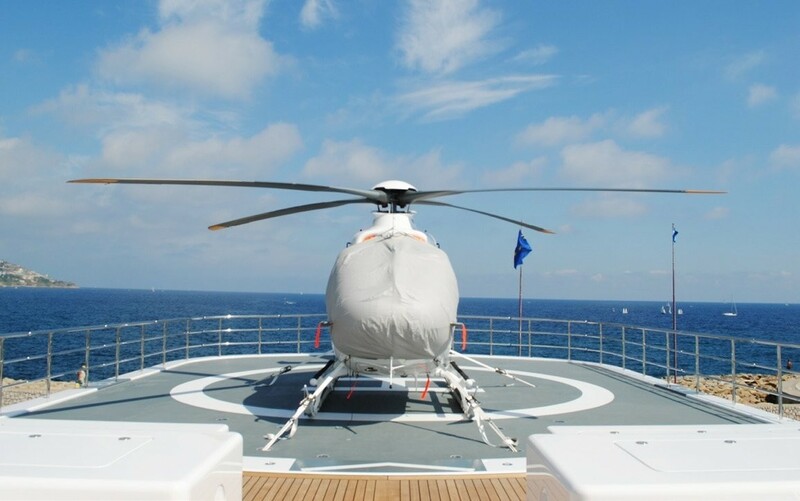 Accommodation on board AIR comprises seven beautiful appointed staterooms. 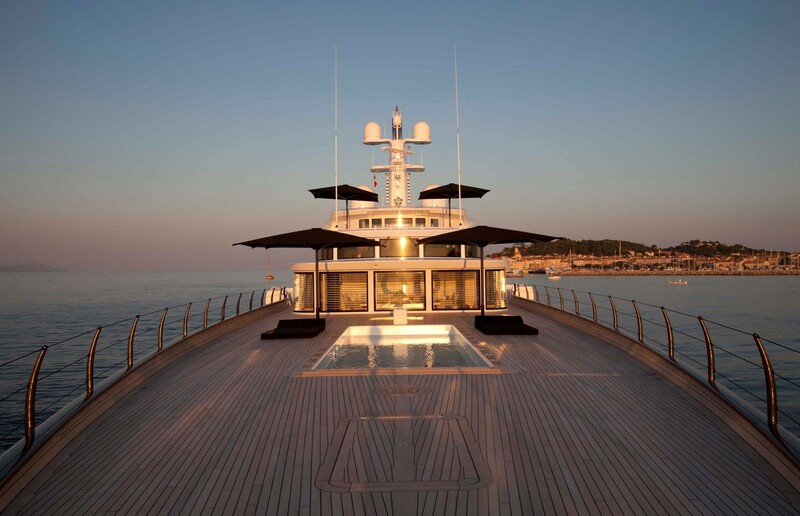 The main deck offers a master suite with a king-sized double bed, his and her bathroom with a shower and bath each, as well as his and her dressing room. 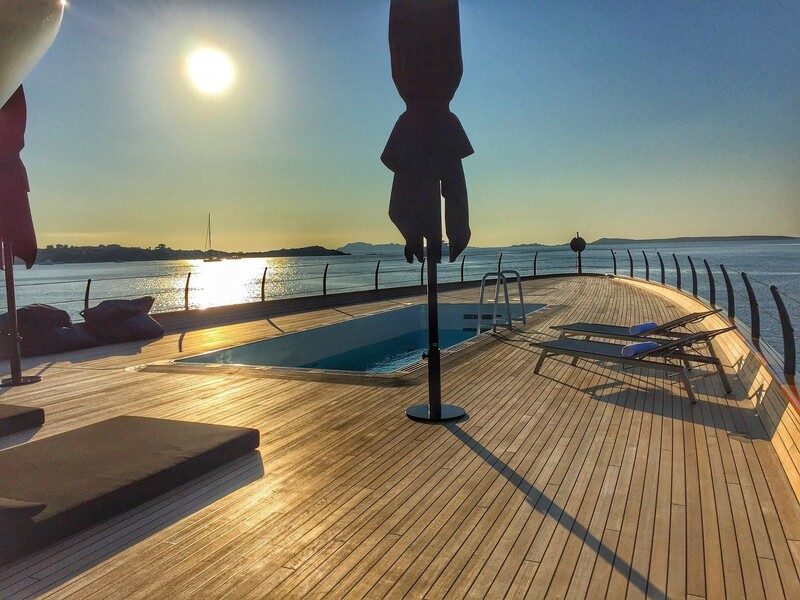 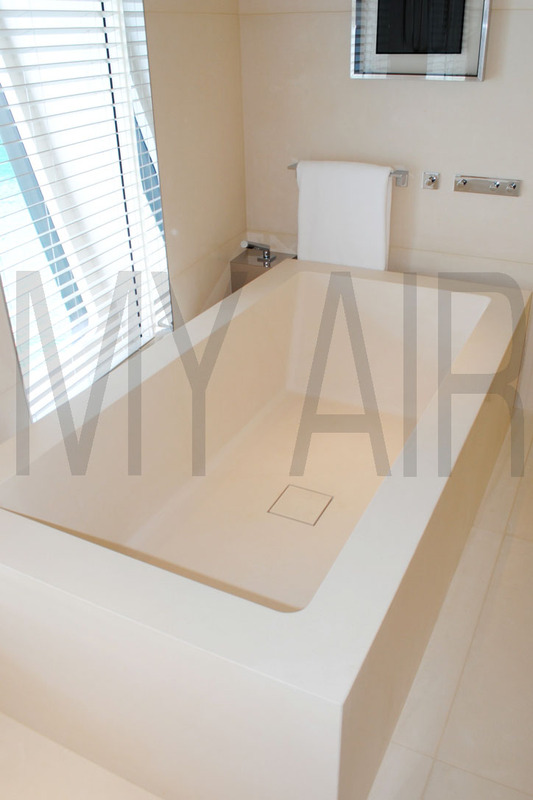 On the same deck, there is the very spacious VIP suite with a double bed, en suite bathroom with a shower and a bath as well as a dressing area. 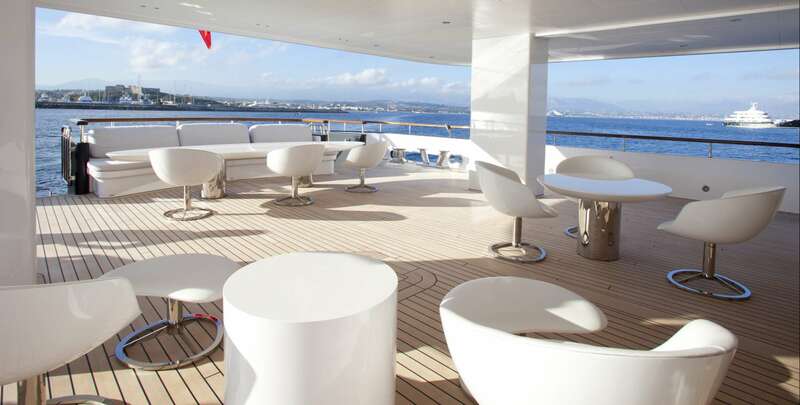 The bridge deck features two guest staterooms; one to Portside and one to Starboard. 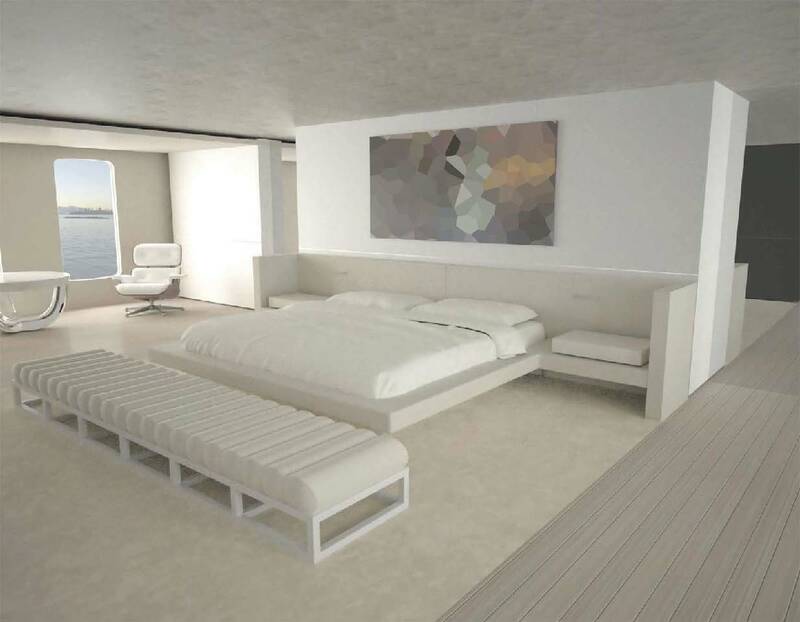 The Portside stateroom has a double bed and a shower, while the starboard stateroom has a double bed with a bath and shower. 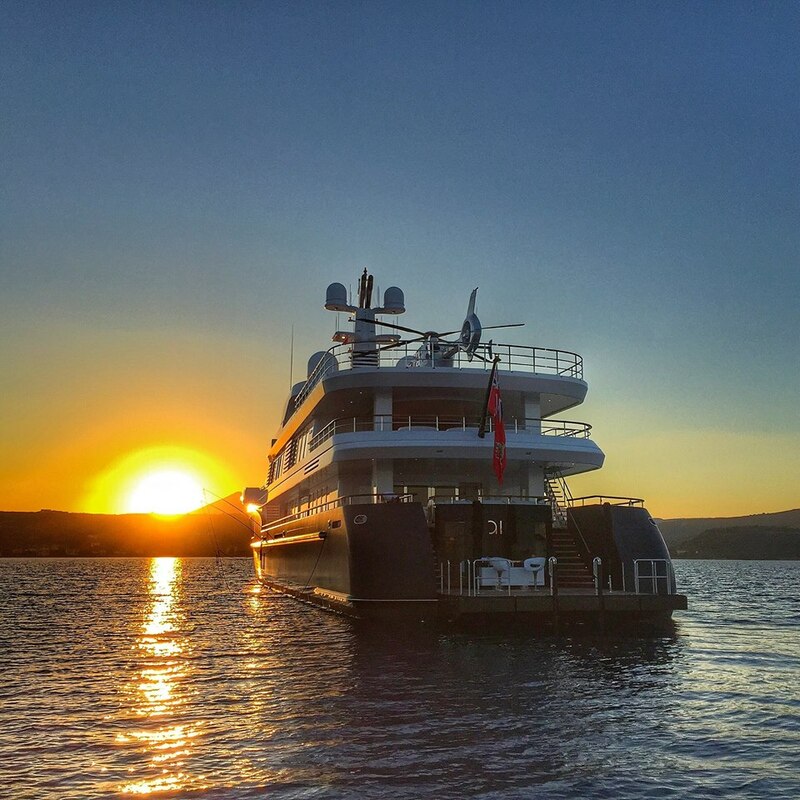 The lower deck boasts further three guest staterooms, including two with a double bed and shower and bath, and one twin stateroom with a dressing area and a shower. 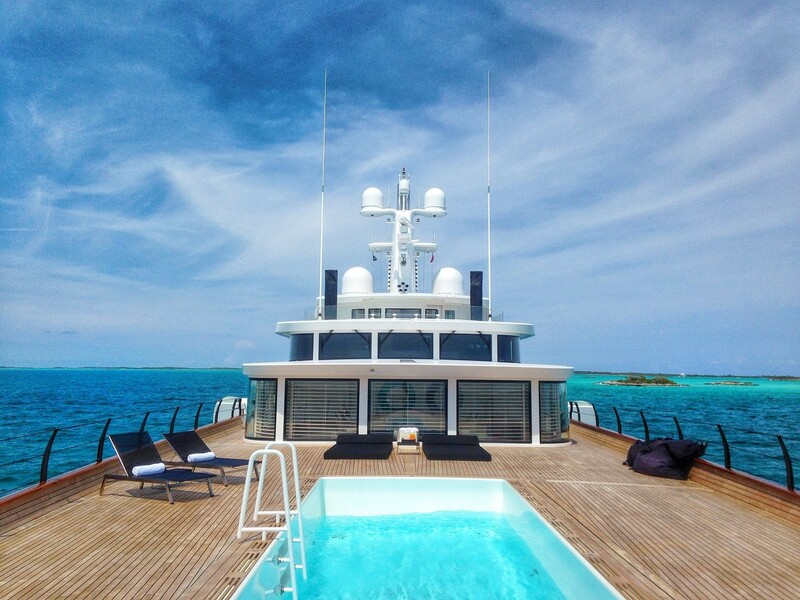 Amenities and water toys on board include two 10 m custom built Banfield Design Southern Ocean Marine open cockpit tenders with 300hp Yanmar engines, two Wet Bikes, a Jet Ski, two Laser Dinghies, four Kayaks, four Dive Gear, Misc Snorkel Equipment, three Kite Surfers, two Wake Boards, a slalom water ski, two regular water skis, four blade fish, various inflatable water toys, a comprehensive Fishing Equipment including fishing chair. 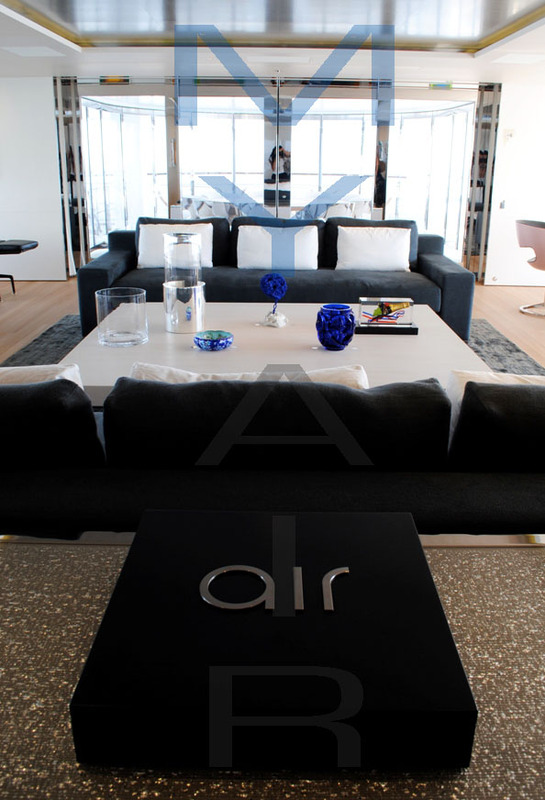 AIR features a certified and fully compliant commercial help pad. 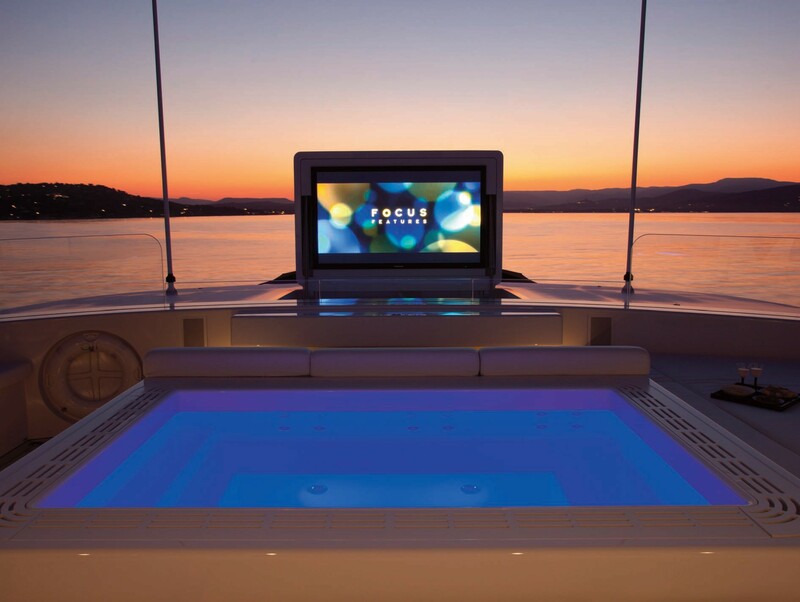 Audio-visual equipment includes Kaleidescape video server continuously updated, movie streaming, fully integrated music system with iPod docking stations throughout as well as a music server on board, direct TV Caribbean satellite in major cabins and major areas, full MAC system controlled throughout the yacht with iPads and iPhones. 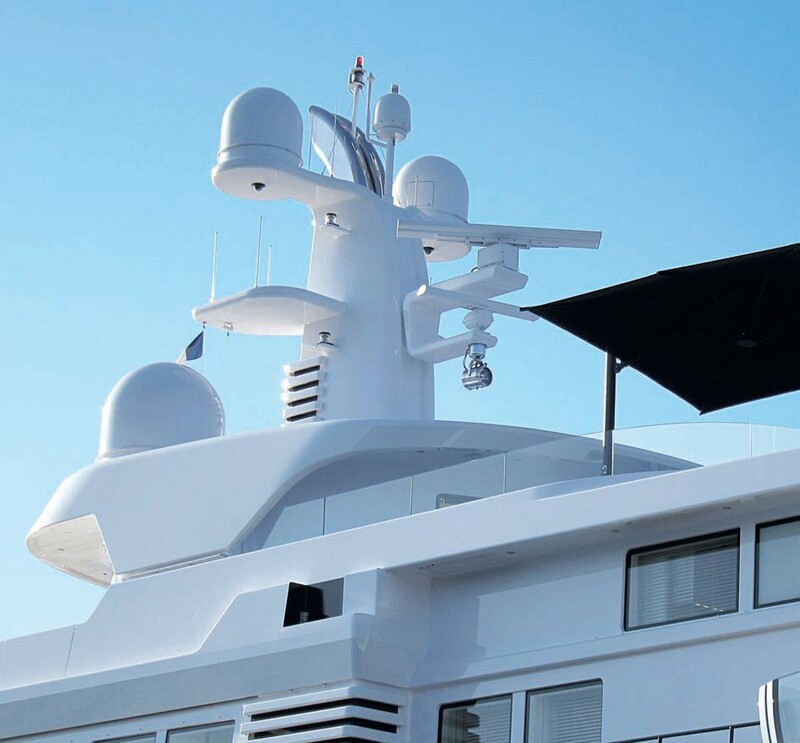 Furthermore Satcom communication system, VSAT and GSM phones etc.